At PopBookings, we are always improving our service to our clients. Today we announced a new integration for our in-app chat and messaging service. 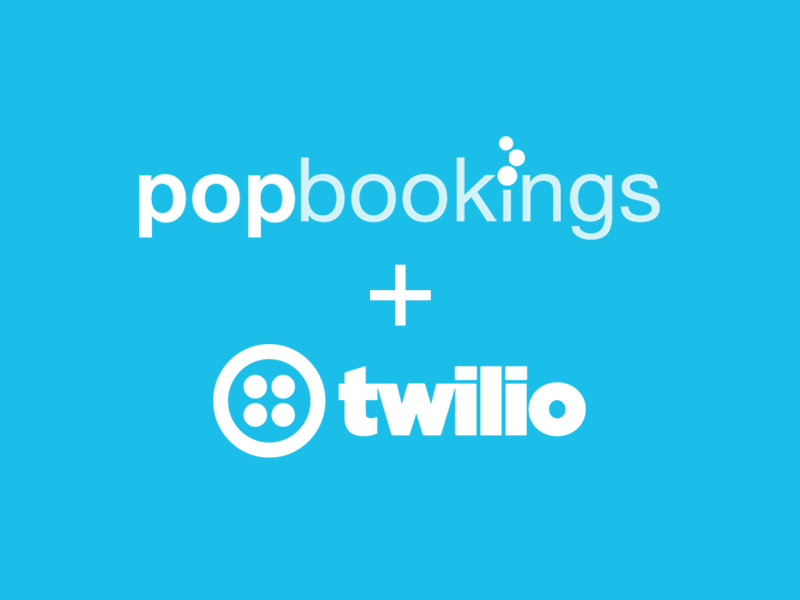 We built on a world-class provider, Twilio. Knowing chat is a popular reason why clients love using PopBookings for their booking and communication purposes, we felt like we needed a chat provider that would be able to give the best experience possible. Keep your messages flowing without missing a beat. Twilio stores copies of your data across redundant components for instant failover. Data is securely stored in the Twilio cloud and encrypted in transit for end-to-end privacy. Twilio’s cloud platform employs a horizontally scalable, service-oriented architecture that can support the hockey-stick growth of your communication needs. Below are other reasons why chat is a important part of our product offering. Everyone understands the frustration of feeling left in the dark about important communication. Did they get it? Did they read it? Why haven’t they responded yet?!?! We know how annoying it is to scroll through your inbox searching for the message you need. That’s why we’ve made it so you can access chats with anyone in your database from anywhere on your dashboard! The event staffing industry depends on the timely distribution of information, so you shouldn’t have to waste any time communicating with your team. Group chats are great for on-site communication (“Hey everyone, let’s meet by the fountain in the lobby!”) and allow your office staffing coordinators to monitor any conversation from their dashboard. One-on-one direct messages connect you with anyone in your office or your database for individual conversations. And that’s not all! PopBookings’ chat automatically categorizes your correspondence so you can easily view only what’s relevant to a particular event. Keep your work and personal life separate! There’s no need to use your personal cell phone for work calls, emails, or texts when our dashboard gives you everything you need to communicate both internally and externally all in one place. As an added bonus, you’ll always know exactly where to look for a log of your messages! This feature also improves the security of your data. Because everything is channeled through the PopBookings platform, your information and communication history is only accessible to those who have clearance within the organization. In addition to offering privacy and security, PopBookings’ chat feature vastly improves accountability and transparency within your team. Timestamps let you see when messages are sent and when they receive a response, keeping everyone on the same page. By incentivizing quick responses and putting your communication needs front and center, your team can cut down on the time it takes to make important decisions and share vital information. The days of long, confusing email chains and delayed responses are over! Your event staff can see who in the agency they are talking to, putting a friendly face on their interactions with your team. And agency owners can see their event coordinator’s messages to staff in the field. This empowers your team to work quickly and collaboratively. Instead of everyone feeling cut off in their own little communication silo, PopBookings’ chat feature creates a community that is responsive, team-oriented, and transparent. Are you ready to revolutionize your staff and client communication? Take the first step today and contact us to schedule a free demo.